Wireless Fidelity aka WIFI runs over 2.4Ghz ISM Band, meaning your bluetooth, DECT Phone, WiFi and other devices uses that frequency range and has 20 or 40mhz division bands. Provided there is no disruption or less than 5 SSID present, these are the simple most optimum you can get over your SINGLE BAND Asus N15 router. Do note, any water bodies etc will add up to more disruption of your signal and the weaker the signal, the worse it become. Sorry for the bad artwork as I am not an art student.... nor do I use Photoshop. 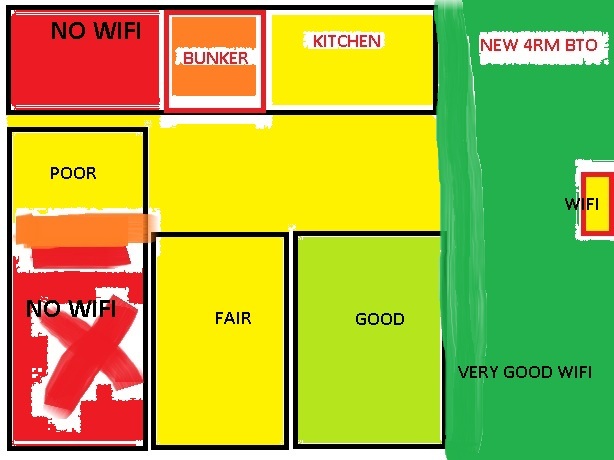 This is a basic old 3-room flat where the yellow box is the TP and Router . 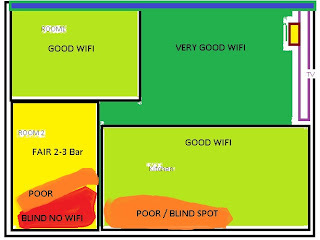 As for the newer BTO flat, please note that you may have a tendency to get WiFi jamming issue due to the number of neighbours using the same band. 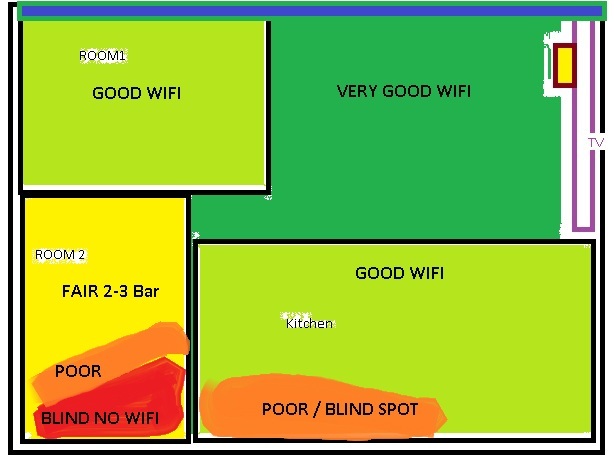 It is always advisable to use LAN connection from the Router to the Master Bedroom in red, and fix up another router with WiFi to boost the signal. Significant drilling is required and usually this will cost about $300 using CAT 5e. 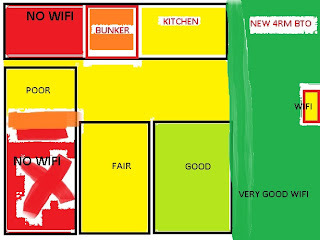 I will upload more when we have more floor plans or if we got a better designer. Should you need more advise, contact me directly.